"When nature inspires our architecture-not just how it looks but how buildings and communities actually function-we will have made great strides as a society. Biophilic Design provides us with tremendous insight into the 'why,' then builds us a road map for what is sure to be the next great design journey of our times." "Having seen firsthand in my company the power of biomimicry to stimulate a wellspring of profitable innovation, I can say unequivocably that biophilic design is the real deal. Kellert, Heerwagen, and Mador have compiled the wisdom of world-renowned experts to produce this exquisite book; it is must reading for scientists, philosophers, engineers, architects and designers, and-most especially-businesspeople. Anyone looking for the key to a new type of prosperity that respects the earth should start here." -Ray C. Anderson, founder and Chair, Interface, Inc. This book offers a paradigm shift in how we design and build our buildings and our communities, one that recognizes that the positive experience of natural systems and processes in our buildings and constructed landscapes is critical to human health, performance, and well-being. Biophilic design is about humanity's place in nature and the natural world's place in human society, where mutuality, respect, and enriching relationships can and should exist at all levels and should emerge as the norm rather than the exception. The basic concepts of biophilia, its expression in the built environment, and how biophilic design connects to human biology, evolution, and development. 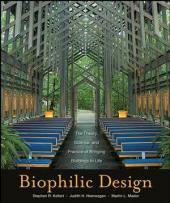 The science and benefits of biophilic design on human health, childhood development, healthcare, and more. The practice of biophilic design-how to implement biophilic design strategies to create buildings that connect people with nature and provide comfortable and productive places for people, in which they can live, work, and study. Biophilic design at any scale-from buildings to cities-begins with a few simple questions: How does the built environment affect the natural environment? How will nature affect human experience and aspiration? Most of all, how can we achieve sustained and reciprocal benefits between the two? This prescient, groundbreaking book provides the answers. "What if you could harness the power of the free market to solve the problem of poverty? In Creating a World Without Poverty, Yunus goes beyond microcredit to pioneer the idea of social business—a completely new way to use the creative vibrancy of business to tackle social problems from poverty and pollution to inadequate health care and lack of education." The environmental movement has often been accused of being overly negative-trying to stop "progress". The Nature of Design, on the other hand, is about starting things, specifically an ecological design revolution that changes how we provide food, shelter, energy, materials, livelihood, and deal with waste. Ecological design is an emerging field aiming to recalibrate what humans do in the world with how the world works as a biophysical system. 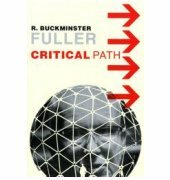 Design in this sense is a large concept having to do as much with politics and ethics as with buildings and technology.